To protect the front entrance to the Hommaru (Inner Bailey), a Masugata Square surrounded by a stone wall was created inside the Sakuramon Gate. This stone wall was built during the early Edo period in 1624, by Tadao Ikeda, a feudal lord of Okayama, who was ordered to take charge of this part of the premises by the Tokugawa shogunate. 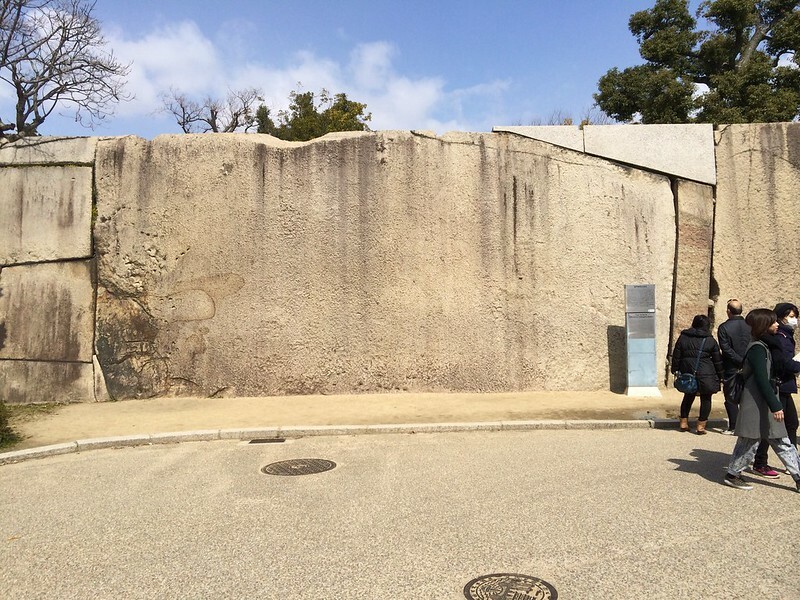 The stone in the front is known as Takoishi, Iiterally, an octopus stone, and is the largest stone in the Osaka Castle, measuring 59.43m2 in surface area and 108t in estimated weight. 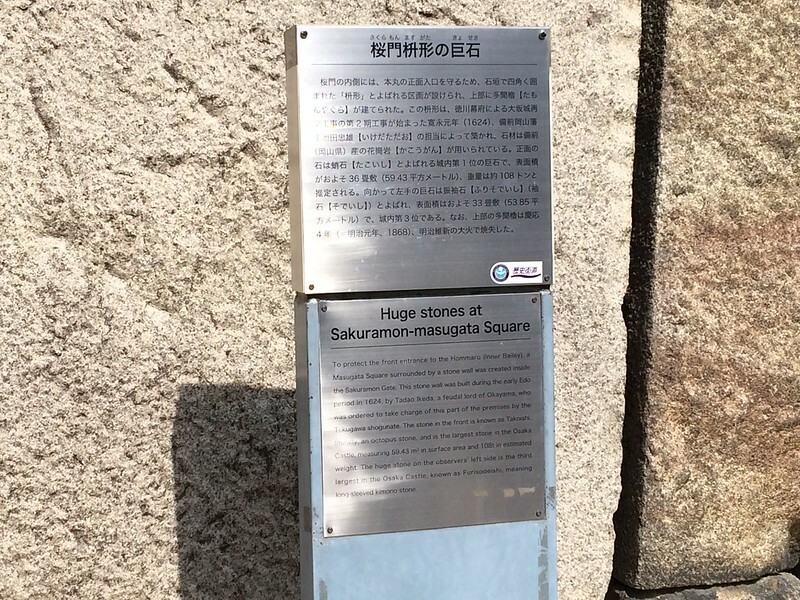 The huge stone on the observers' left side is the third largest in the Osaka Castle, known as Furisodeishi, meaning long-sleeved kimono stone.